AF-P lens realizes faster and quieter AF operation via the adoption of a stepping motor* for AF drive. 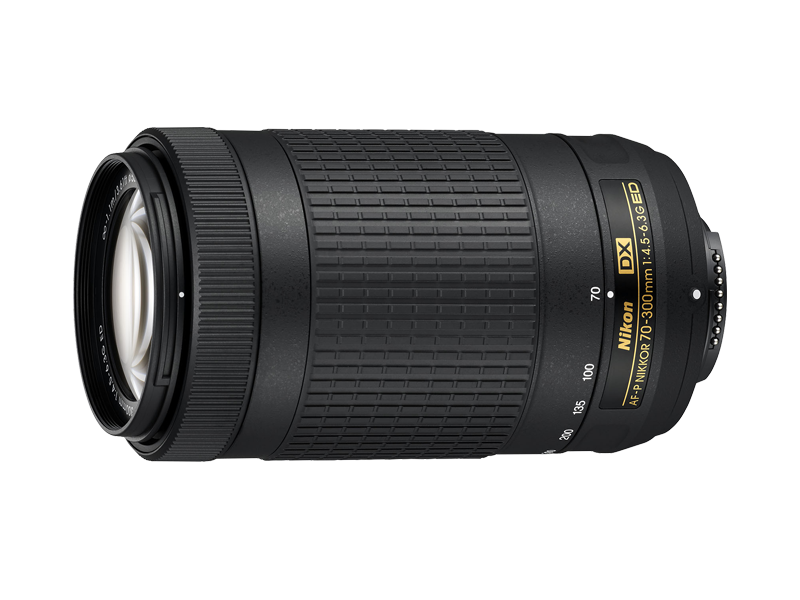 Compact and lightweight, DX-format compatible, 4.3x telephoto zoom lens with 70-300mm* focal-length range and f/4.5-6.3 maximum aperture. * Angle of view is equivalent to that of a 105-450 mm lens in FX/35mm format. One ED glass element is employed to deliver satisfactory optical performance for any user, resulting in high-quality images with minimal lens aberrations. * Because focus mode (AF/MF) is set using the camera menus, the number of compatible cameras is limited.